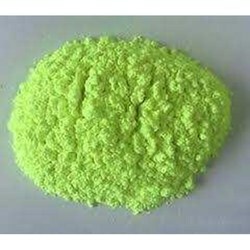 Leading Manufacturer of optical brightener agent and optical brightener agent for plastic from Ahmedabad. We are considered in the market to be one of the leading manufacturers and suppliers of this impeccable range of Optical Brightener Agent. Processing of this range is done as per the set industry norms and guidelines. This ensures the product’s standard of quality. Further, the offered range is marked at the most reasonable rate possible. Widely used as a brightening agent in flexible PVC, man-made fibres and plastics, the offered range of Optical Brightener Powder is one of the finest options available in the market. Making of this range is done in accordance with the industry norms and guideline, using the finest ingredients and modern machines. This ensures the product’s effectiveness, shelf life and environment-friendly nature.